Outfall vs. Headwall vs. Endwall. Wait, what wall? 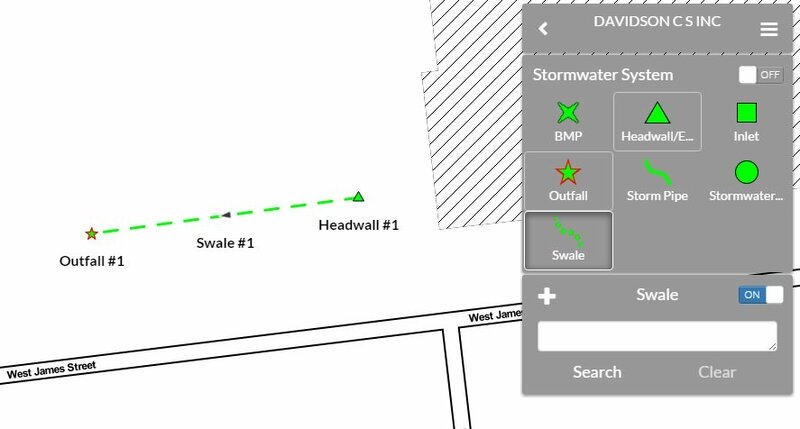 Since the launch of CSDatum, we've only had one asset type for a stormwater outlet, an 'outfall'. We just expanded our system to track a headwall or endwall ASIDE from the MS4 regulated outfall that some of you might have. Before, the point likely related to a concrete, physical structure - either at the end of a pipe or a swale. Now you can have both and the 'outfall' is only intended to be the point that DEP defines in their regulations (the star icon). The old triangle icon is now used for both headwalls and endwalls - and we're no longer categorizing headwalls in the inlet layer. If you had data in this configuration - we've already moved it for you. As you might have noticed above, we also added the ability to draw swales. We've got more work to do but we wanted to update this detail now - and help eliminate that wacky endwall/headwall/outfall confusion. We're camping out on the stormwater layer over the next few weeks (BMP inspection forms and more) - so keep an eye out for important changes. We've long needed this feature - but we're finally able to export your map data (often called attribute data) into a .CSV file. This file can be opened in Excel for your own sorting, manipulation and printing. To do so, navigate back to the main menu (after you first login) and click on the 'Account' link. After that - click on the 'Usage' link and you'll see an expandable list of your mapped assets (shown above). Simply find the layer you need and click on the .CSV link after it's name....and you'll immediately download all of your data. That's it!